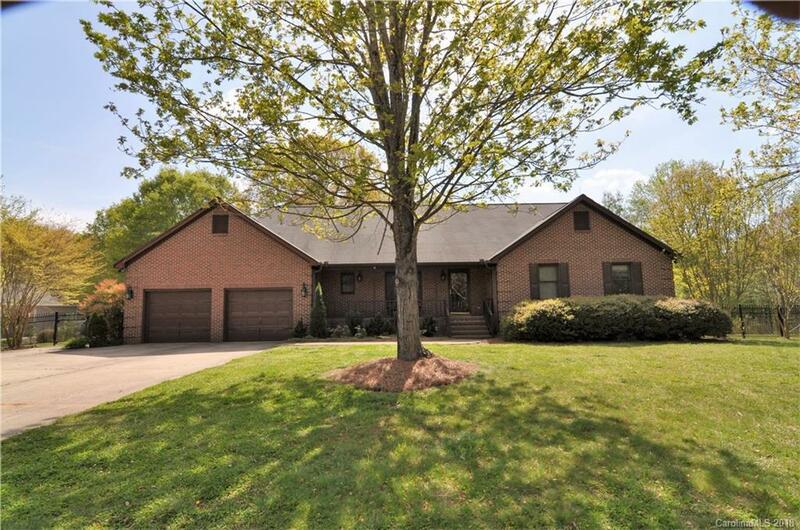 Well-maintained and updated all brick ranch home on almost an acre with NO HOA! This remarkable home features 3 bedrooms; 2.5 bathrooms; large open kitchen with granite and eating area; separate dining room; great room with fireplace flowing to kitchen and eating areas; newer hardwood flooring, trim, paint and molding; renovated bathroom with new vanity and tile throughout; new hot water heater; and a private fenced-in yard with access to heated garage shop at approx 1350 SF. This is truly a one of a kind home located close to shopping, dining, entertainment, and a short distance to uptown.